Eat, drink and be SCARY! 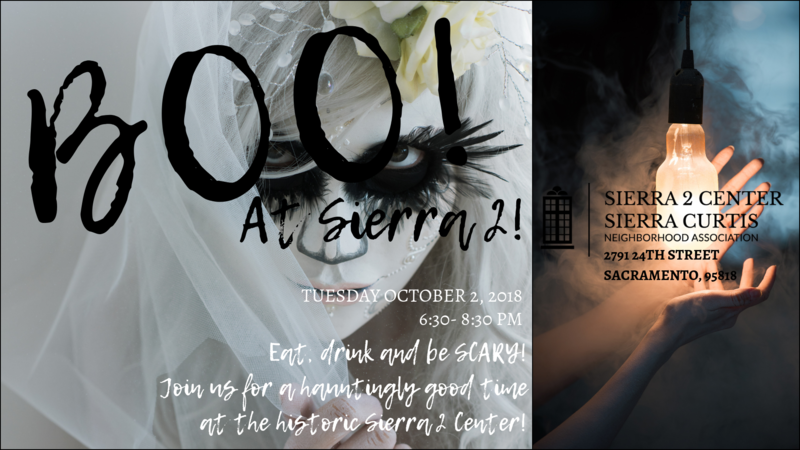 Join us for a hauntingly good time at the historic Sierra 2 Center Sierra Curtis. YES, dress in costume IF you want! We will have a costume contest. Sierra 2 is proud to offer classic garden patios, small and large banquet spaces, and even a full theater as venues for your special celebrations! Curtis Hall is larger, with an inside capacity of 150 people. The Garden Room comfortably seats 50 people inside, but can accommodate groups as big as 100 during spring and summer. 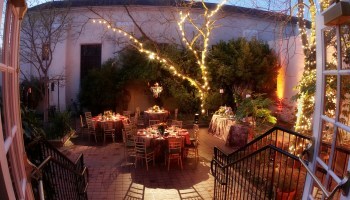 Both spaces are also great for bridal showers! Pay in advance for quick check-in. ***If registering more than one person, register for the first, then click the Continue Shopping button to come back and register additional attendees.